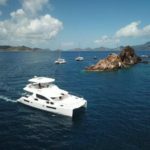 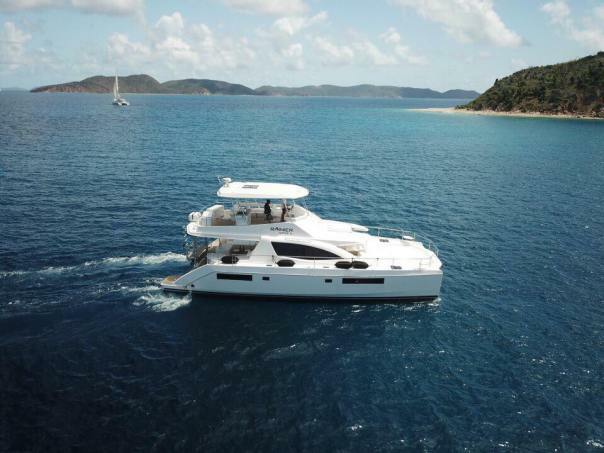 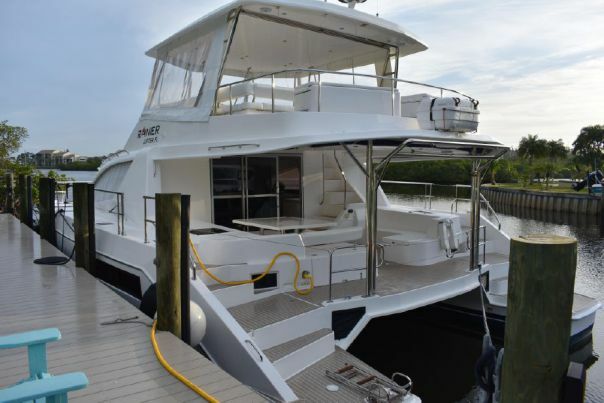 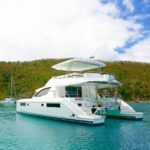 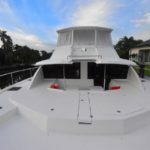 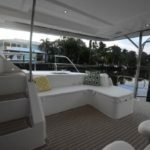 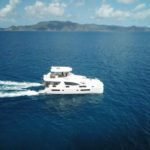 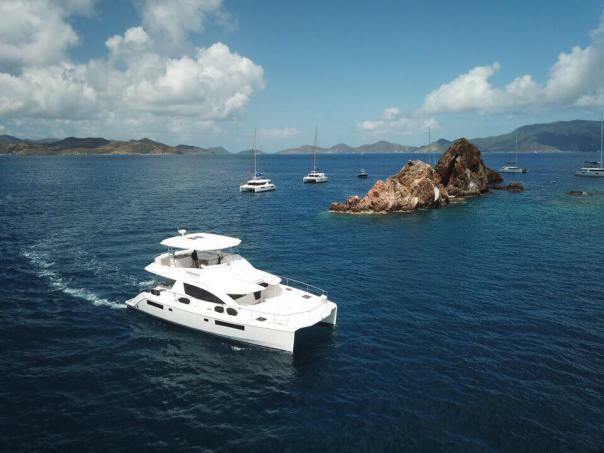 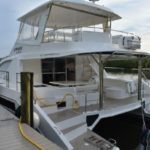 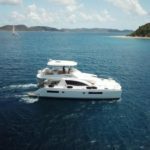 ‘IDA Cat’ is a stunning 51PC loaded with tons of extras that make for an exceptional charter experience including; watermaker, full teak exterior on the cockpit and flybridge, galley ice maker, two additional top deck freezers with seating and much more! 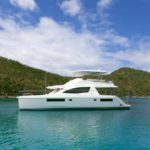 Designed by renowned yacht builders Robertson and Caine/Leopard; the 51PC (power catamaran) is the pinnacle of cruising perfection. 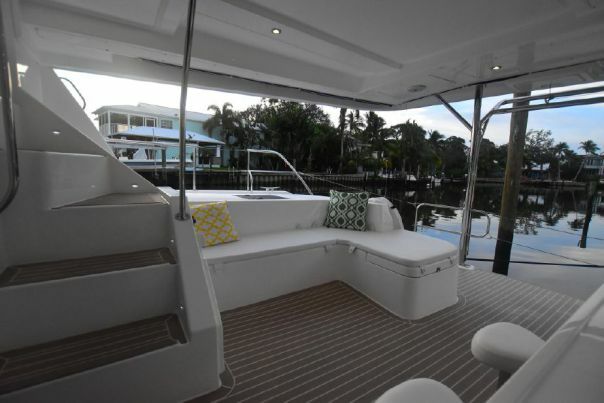 Cruise with power from twin Yanmar 350hp diesel engines while enjoying easy handling from the well-appointed helm station on the fly bridge. 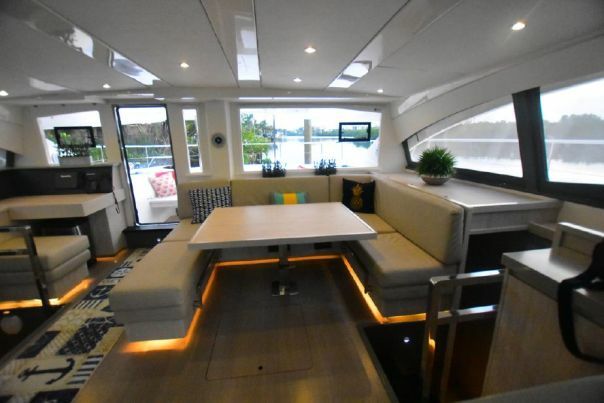 When it’s time to unwind, relax in the spacious comfort of this innovative fly bridge, which features an elevated sunbathing platform and large U-shaped seating and table to accommodate all your guests. 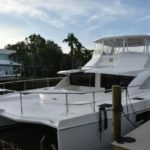 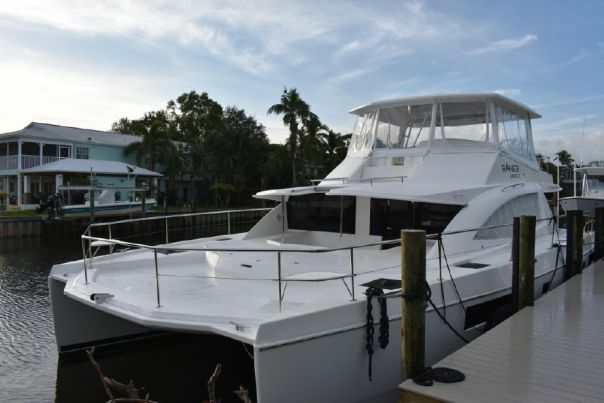 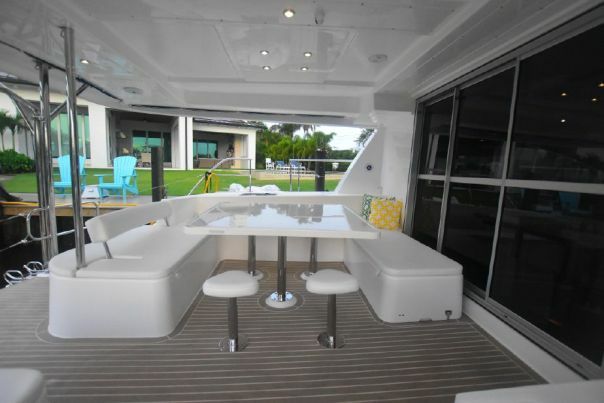 Enjoy the modern conveniences of a built in stainless steel electric grill, refrigerator, and wet bar all on the flybridge. 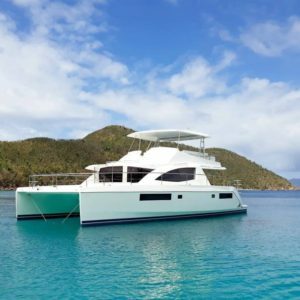 Before leaving with your power catamaran, our operations team with complete a comprehensive systems briefing as well as a full navigational chart briefing to ensure you are comfortable and competent with the vessel. 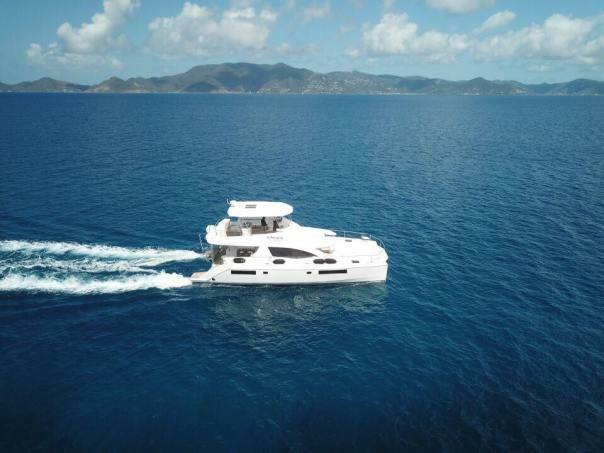 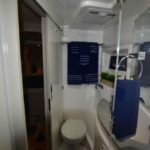 The spacious 514PC can accommodate a maximum of 12 guests (depending on your guest make up and if using all sleeping spaces), across 4 double cabins, 2 single crew cabins (air conditioned and accessed from the top deck) and a convertible dining salon. 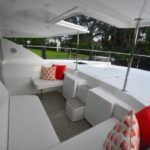 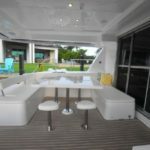 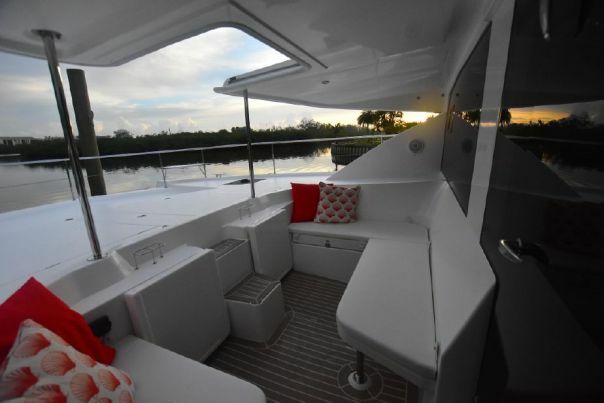 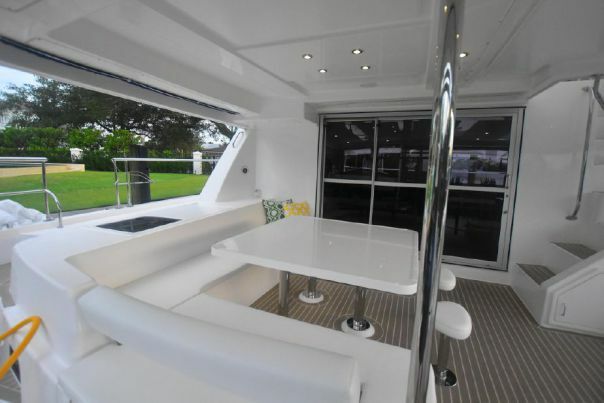 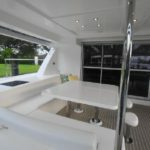 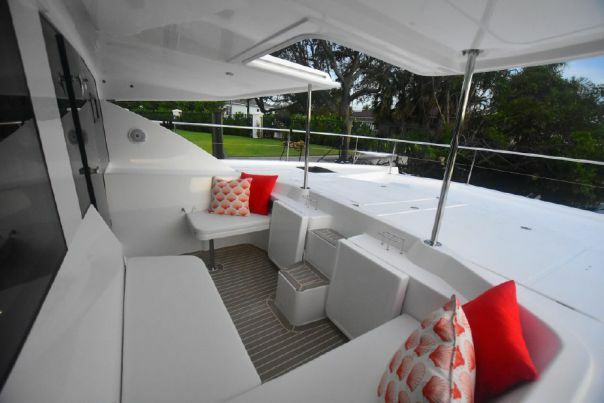 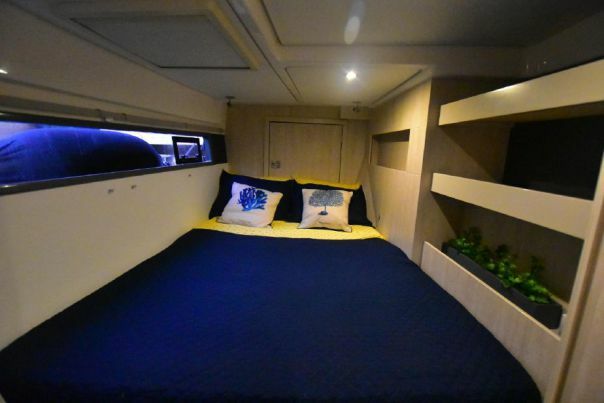 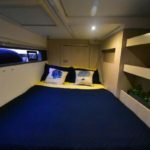 This yacht also has two forepeak sleeping areas which are air conditioned. 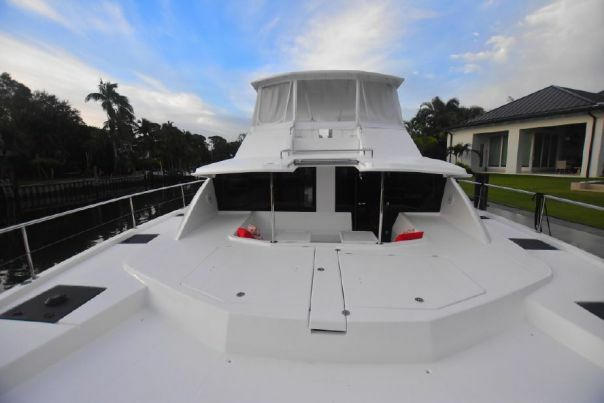 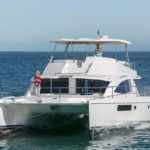 The port forepeak is accessible through the forward port cabin and a hatch from the top of the hull. 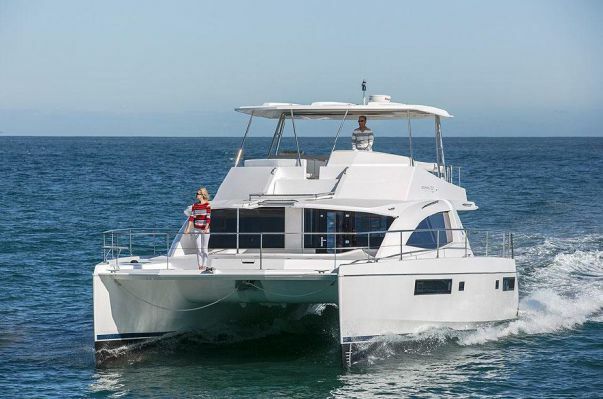 It is large enough for one adult and can be closed off from the forward port cabin side to provide separation. 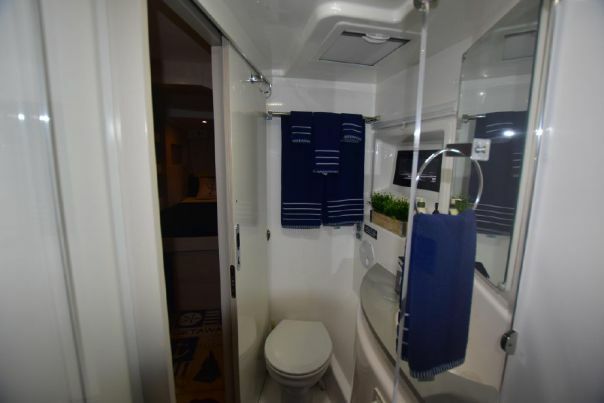 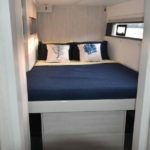 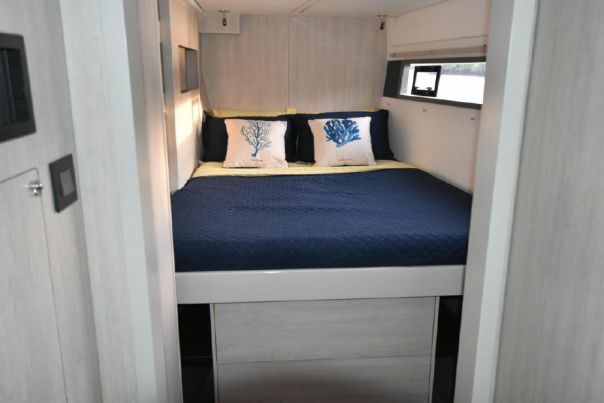 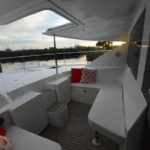 The starboard forepeak is only accessible from a hatch on top of the hull and comes equipped with a single bed – this space is typically only used by crew. 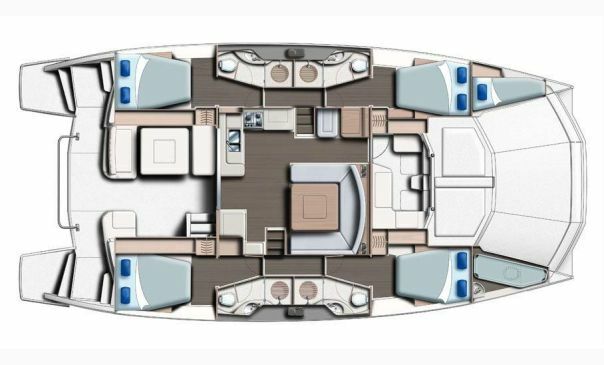 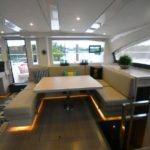 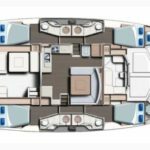 Each forepeak IS included as a ‘single berth’, as well as the dining salon being included as a ‘double berth’ in the maximum capacity count of ’12’ on this yacht.